You lot are probably thinking I have gone mad because why the hell am I writing about laser eye surgery when MyGlassesAndMe is all about wearing glasses! 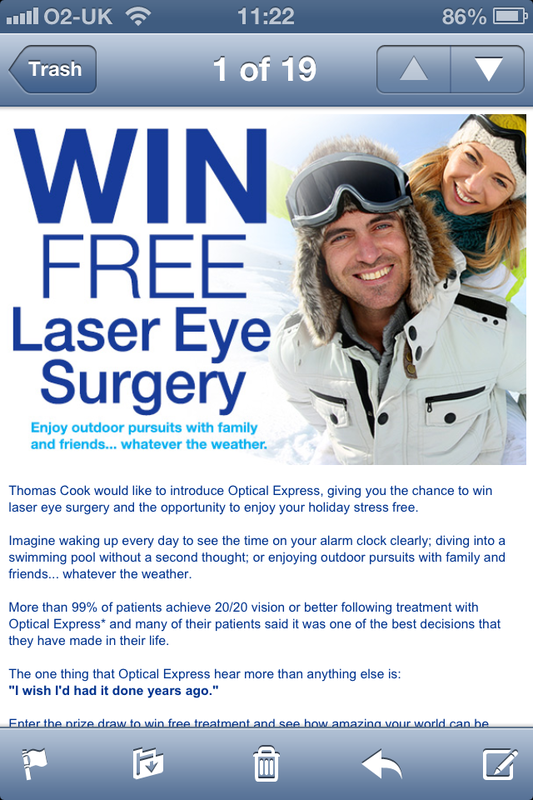 Well what sparked this blog post was when I received an email from Thomas Cook yesterday saying “WIN LASER EYE SURGERY”. I thought that was hilarious because it was sent to my work email. I also quite liked the caption they had which was “enjoy outdoor pursuits with family and friends, whatever the weather”. That got me thinking… lets all be honest with ourselves here, wearing glasses do have their negative points. Then the advert went on by saying “imagine waking up everyday to see the time on your alarm clock? Diving into the swimming pool without a second thought?” You know what, I do miss those things. I also worry about what if one day my house is being robbed, I need to pick my glasses up before I can see anything! That split second could be vital but that is something people with perfect vision would never think about, but then why would they? 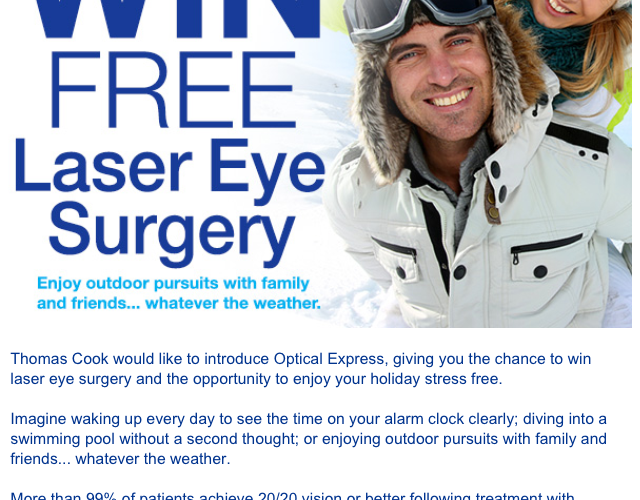 So would I have laser eye surgery? 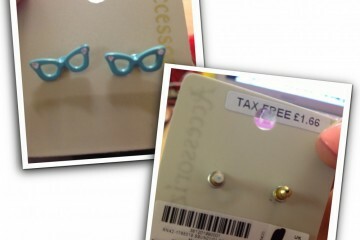 The answer is no because I am too much of a glasses lover! 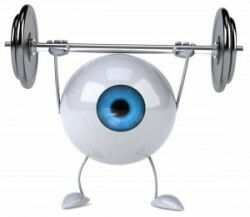 I am also too much of a wimp and I hope I never need a cataract operation- it’s my worst nightmare! I hate the thought of any surgery on the eyes plus a friend of my had a bad experience with laser eye surgery 3 years ago. Another friend had it done 6 years ago and his vision has deteriorated again! Even my cousin had laser eye surgery like 3 months ago and his reason was he was sick of wearing glasses because they are an inconvenience and to some extent I do see his point, since he does have 3 children! From my previous experience with children I do get it. However, I don’t understand why at nearly the age of 40 he decided to have laser eye surgery because surely as he gets a little older he will need to wear glasses again anyway. Previous ArticleYou Need to See When You Drive-Right? A nice article, and whereas surprising to see it in a glasses blog does raise some interesting questions. As a glasses wearer for over 20 years I have considered this surgery. My mum recently had her surgery at an Optical Express and so far she is really enjoying the freedom from glasses, in fact she cant stop talking about it! The only thing that prevents me is the price, my mum has a monthly installments plan so I suppose if you can afford it seems like a great option.